Readers will learn that recent misfortunes experienced in the Pikes Peak region were unprecedented in their destruction, but were not unfamiliar, or even unpredictable, events. In fact, we should expect some natural disasters. For example, did you know that Colorado was designated the “hail capital of the U.S.”? Or did you know that Colorado is on the western borderline of Tornado Alley and that twisters have damaged property in both the El Paso County plains and Manitou Springs, where an estimated $1 million in tornado damage occurred in 1979? In these pages you will learn how the devastating 19th century fires in Cripple Creek and Colorado Springs influenced how these communities developed and how waging battle against destructive flames evolved from making fire breaks by blasting buildings to sophisticated military missions involving satellites, GPS, and aerial firefighting methods. You will understand, from first-hand accounts, how the 1898 Antlers Hotel fire started and quickly burned an extensive area of Colorado Springs three blocks long and two blocks wide. And you will be shocked by the damaging 1935 Memorial Day Flood, and other floods, that swiftly overcame Colorado Springs’ parks, streets, and buildings. 449 pp. Illustrations, notes, index. ISBN 978-1-56735-318-1 $24.95 paperback. Buy book from Clausen Books. Buy eBook from Smashwords or Amazon. Some of the content in Massacre, Murder, and Mayhem in the Rocky Mountain West is graphic, though not gratuitous. The subject of killing requires a level of description necessary to understand what occurred during an event. More difficult to understand are the reasons why these acts were committed. Each killing event was unique, but all were fueled by forces that seemed to guide the hands of the perpetrators: alcohol, fear, greed, hate, ignorance, revenge, passion, self-righteousness. Often the murderers were disenfranchised, disassociated, or disgruntled. . . . Since the September 11, 2001, terrorist attacks on the U.S., fervent discussions about guns, religion, terrorism, national security, privacy, and immigration have become common, not just in news media and public forums, but also around water coolers and dinner tables. Perhaps by remembering what it felt like when we learned of the heart-breaking deaths at Columbine High School, the World Trade Center, the Pentagon, and the field in rural Pennsylvania, we can better understand what people experienced when they heard about the massacres of their day. Sadly, mankind’s penchant for individual and mass killing remains as strong today as it has throughout history. This book certainly will not provide solutions to stop this madness, but a serious debate on these complex issues can only be enhanced by an awareness of our past. 461 pp. Illustrations, notes, index. ISBN 978-1-56735-338-9 $24.95 paperback. Buy book from Clausen Books. Buy eBook from Smashwords or Amazon. 91 pp. Illustrations, index. ISBN 978-1-56735-335-8 $9.95 paperback. Buy book from Clausen Books. Buy eBook from Smashwords. Rush to the Rockies! 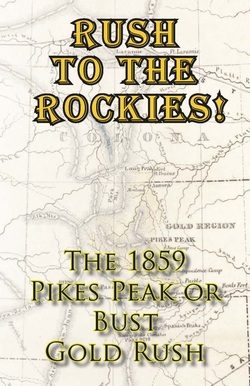 The 1859 Pikes Peak or Bust Gold Rush provides a glimpse into the excitement of Colorado’s formative years, into the development of industrialized mining, and into the lives of people who thrived (or just survived) to establish the Centennial State of Colorado in 1876. The 1859 “gold fever” emboldened many adventurous souls to head west to the mineral-rich regions of the Kansas and Nebraska territories. Their destination, commonly called “Pike’s Peak,” was the area known today as Colorado’s Front Range. The prospector’s dream was of an easy life of wealth and the never-ending happiness that gold could buy. As you read the chapters in Rush to the Rockies!, imagine yourself 150 years ago, provisioning for a long wagon trip across the plains, prodding your stubborn oxen westward, fearing the unknown, and maybe even striking it rich. Succumb to the “fever” and enjoy the adventure! 371 pp. Illustrations, notes, index. ISBN 978-1-56735-282-2 $24.95 paperback. Buy book from Clausen Books. Buy eBook from Smashwords or Amazon. 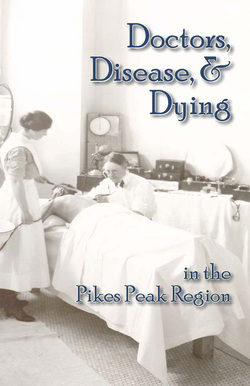 Doctors, Disease, and Dying in the Pikes Peak Region includes tales of the pioneers, traders, and military personnel who were both the purveyors and the recipients of needed care. There are chapters about the women and men who practiced medicine in this region, discussions about internationally significant developments for the treatment of tuberculosis and cancer, the impacts of epidemics on the community, mental health issues, and poverty. Readers will learn about some of the formidable health challenges of our region, challenges often overcome by advancements in medical science; about the early development of health care as a thriving industry; and about the scientists, doctors, nurses, and other concerned professionals who have led the cause for a better quality of life in the Pikes Peak area. Among the causes of death discussed in the book, readers will learn about combat, disease, injury, murder, and many other forms of demise. 393 pp. Illustrations, notes, index. ISBN 978-1-56735-281-8 $24.95 paperback. Buy book from Clausen Books. Buy eBook from Smashwords or Amazon. A few of the women and men in this book are famous, others are known only locally, and many are virtually anonymous today. Still, all of them made their unique contribution to the visual arts. For some, there remains little or no evidence of their pictorial work—perhaps only a reproduction based on a photograph, or a film review from the newspaper—and now, this book. A few facts recounted in this volume may surprise you. Lest we spoil the stories, we will just share a few details: Did you know that the earliest existing photograph made in what is now the state of Colorado is a daguerreotype from 1853? Did you know that it normally required at least 30 minutes to coat, expose and develop a wet plate negative? Did you know that a nationally controversial 1916 film about contraception and abortion was partially filmed in Colorado Springs? Did you know that internationally known photographers lived in Colorado? Did you know that the nation’s largest producer of theatrical commercials in its time was headquartered in Colorado Springs? Read this book to learn more intriguing particulars. 433 pp. Maps, illustrations, notes, index. ISBN 978-1-56735-297-9 $24.95 paperback. Buy book from Clausen Books. Buy eBook from Smashwords or Amazon. The year 1912 was an important milestone for Colorado Springs. Still a young city of only 40 years, the easy-going Little London began the journey to become a metropolitan presence on Colorado’s Front Range. The city of Colorado Springs faced choices that would patently impact its future. The numerous trains created unsightly air pollution, the extremely wide streets presented challenges for pedestrians and costly paving, and the deficiency in developed neighborhood parks was in contrast with the abundant city park acreage. It is interesting to read about the concerns of 1912 in the context of the choices the city faces now, 100 years later. The city’s potential was clear to civic architect Charles Mulford Robinson, though he acknowledged the city’s previous planning mistakes and ill-conceived design choices, like the grid of wide streets and the “unfortunate spacing” of median “parking strips” on Cascade Avenue. Reading Robinson’s 100-year-old observations and recommendations, you may find some of them remarkable and others ridiculous. 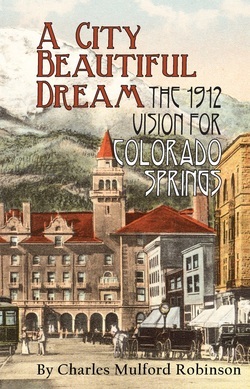 Looking at Colorado Springs today, the evidence of his vision and the City Beautiful movement philosophy are visible in the landscaping of the streets, the numerous neighborhood parks, and the preservation of the mountain views. Perhaps you will appreciate the forethought of those who cared about the growth and planning of the city. Knowing that you and others care about these issues today, the year 2012 can mark the beginning of another era “characterized by a general civic awakening.” 159 pp. Maps, illustrations, index. ISBN 978-1-56735-288-7 $14.95 paperback. Buy book from Clausen Books. Buy eBook from Smashwords or Amazon. The Pioneer Photographer is the story of William Henry Jackson’s love for the outdoors and of his adventurous life photographing the Rocky Mountain West during the late 1860s and 1870s. His meticulous descriptions of the rugged and treacherous landscapes, and the efforts required for capturing the images on glass plates, edify the reader about the enormous challenges presented by early photographic technology. 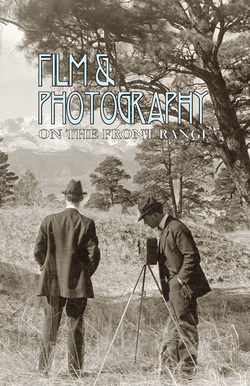 Even if you do not know much about 19th century photography, we know that you will enjoy reading about William Henry Jackson’s life during the “rough and ready days.” Jackson was among the first to take photography into America’s developing West and we are fortunate to have his vivid images and colorful words to help us understand the marvel of the moments he captured in photographs. 314 pp. Maps, illustrations, notes, index. ISBN 978-1-56735-342-6 $19.95 paperback. Buy book from Clausen Books. Determination and fearlessness, in the face of possible failure, fueled our predecessors’ successes. We must continue to take risks, dream big, strive for better, evaluate and innovate to ensure a prosperous and vibrant outlook in the years to come. Perhaps some of the examples in this book will inspire you to seek your own enterprising potential, adventure, and even fun! Developments in invention, commerce, science, flight, tourism, crafts, arts, acting, healing and community building are explored in the chapters of this book. Every idea, attempt, failure and accomplishment was founded on dreams and the anticipation of success. 430 pp. Maps, illustrations, notes, bibliography, index. ISBN 978-1-56735-302-0 $24.95 paperback. Buy book from Clausen Books. In this book, Extraordinary Women of the Rocky Mountain West, you will find stories to challenge your assumptions and knowledge of historical women’s activities and be enticed to explore the rich primary sources and images documenting western women’s history that are housed at the Pikes Peak Library District’s Special Collections. 362 pp. Illustrations, notes, bibliography, index. ISBN 978-1-56735-255-9 $24.95 paperback. Buy book from Clausen Books. Buy eBook from Amazon. Inez Hunt and Wanetta Draper’s insightful biography of Nikola Tesla presents a comprehensive portrait of the man who, perhaps more than any other, is responsible for conjuring our technological world. When Hunt and Draper, both Colorado Springs writers, first published Lightning in His Hand in 1964, there was ample evidence of the influence of Nikola Tesla’s ideas on the “modern” world. Alternating current electricity, radio, remote control, and x-ray technology were but a few of the practical applications of Tesla’s experiments. His “teleforce” weapon, dubbed the death ray, fueled post-nuclear America’s Cold War paranoia and became a staple of science fiction B cinema. This book contains several new photographs provided by the Nikola Tesla Museum, Belgrade, Serbia, of Tesla’s laboratory in Colorado Springs. 283 pp. Map, illustrations, notes, bibliography, index. ISBN 978-1-56735-279-5 $19.95 paperback. Buy book from Clausen Books. Who was William Jackson Palmer, besides a railroad builder and founder of Colorado Springs? This “unauthorized biography” of a truly remarkable and modest man will open every reader’s eyes to a new view of Civil War Medal of Honor recipient, General William Jackson Palmer. Complex questions come about when reconciling Palmer as a Union army soldier and spy with his Quaker upbringing; reconciling the massive manpower required to build Palmer’s western railroad and mining empires with his reputation as a man of benevolence; and reconciling his marriage to Mary Lincoln Mellen “Queen” Palmer and their intercontinental romance. 405 pp. Maps, illustrations, notes, bibliography, index. ISBN 978-1-56735-261-0 $24.95 paperback. Buy book from Clausen Books. “To Spare No Pains” presents unique views on Zebulon Pike’s 1806-1807 Southwest Expedition, the politics of the time, and the popular use of Pike and his legacy in cultural and commercial endeavors. 312 pp. Maps, illustrations, notes, bibliography, index. ISBN 978-1-56735-224-5 $24.95 paperback. Buy book from Clausen Books. The first modern revision of Charles Fox Gardiner’s popular historical account of early Colorado medicine. Includes a new biography of Gardiner by historian Chris Nicholl, and new illustrations.Veterinarian, dentist, spiritual adviser- the frontier doctor was all of these. Traveling paths newly hewn into the early Colorado mountain wilds, Dr. Gardiner found himself facing many a strange medical situation, many an odd duty. To face pioneer life one had to be rough and ready; moreover, endowed with a sense of humor. Doctor at Timberline is as much the story of isolated Rocky Mountain patients as it is the chronicle of a doctor whose intrepid frontier practice brought him exciting human experience. 245 pp. Illustrations, maps. ISBN 978-1-56735-254-2 $24.95 paperback. Buy book from Clausen Books. “The short sketches pull off the rare feat of being both historically informative and enjoyable to read." Commemorating the centennial of the Cripple Creek Labor Wars (1903-1904), this book recalls the causes and consequences of one of the era’s violent labor strikes that spread throughout the Colorado mine fields. 133 pp. Maps, illustrations, notes, bibliography, index. ISBN 978-1-56735-225-2 $14.95 paperback. Buy book from Clausen Books. Buy eBook from Smashwords or Amazon. Winner of two Silver MarCom Awards, Reflections of the Pikes Peak Region contains more than fifty historic photographs of Colorado people, places and events in the format of a perpetual calendar that can be used to record important birthdays, anniversaries, and holidays. Each date includes information about significant events that occurred during the historic region’s past. ISBN 978-1-56735-233-7 $14.95 spiral-bound. Buy book from Clausen Books.